Shopping for clothes for Caterpillar is so much more enjoyable than shopping for myself these days (not to mention the fact that he is a far superior model than me!). I squealed a little bit when we received these awesome threads from Me&I because they are so unique and fun. I don’t always like to dress him in the same thing as everyone else and these are certainly different from the norm. I love Henley style tops, they are really great for dressing either up or down. Usually this style comes in a plain, block colour but this vibrant, building print with bright blue trim is really eye-catching. 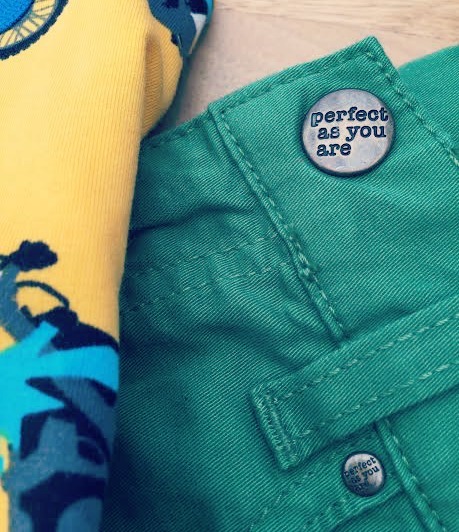 It’s easy to shy away from colour on the bottom half and always opt for jeans in black or blue but I was pleasantly surprised how great these quirky green chinos looked and they are really durable too. I especially enjoy the little details like this sentimental statement button. Long-sleeved tees with a vest underneath are a good alternative to jumpers for Autumn and Spring. 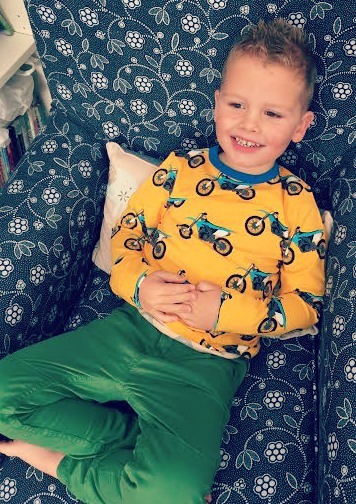 Again, I would never usually choose this colour for Caterpillar but I think this yellow motocross top really suits him (okay, I’m biased). Me&I are a Swedish fashion brand, started in 2004 by two “mumpreneurs”, carrying gorgeous and unique men’s, women’s and children’s fashion. Their clothes are such lovely quality, ethically produced and long-lasting. 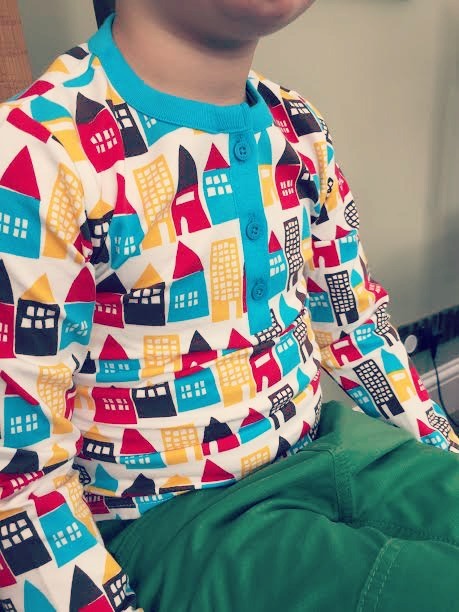 I absolutely adore the bright and unusual prints, patterns and colours of their childrenswear. As well as cute clothes, they also offer the chance for other mums to get involved and work around their family life. Flexible working is a major buzz-phrase these days, especially if you’re a parent. 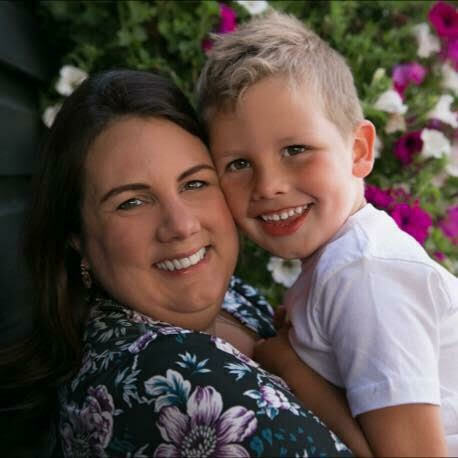 Childcare is costly and many of us endeavour to strike a balance between spending time with our kids and finding meaningful employment or contribution. And we want to make money of course! For those interested in sales and fashion, Me&I offer this chance, which includes full sales training and starter kit of items. 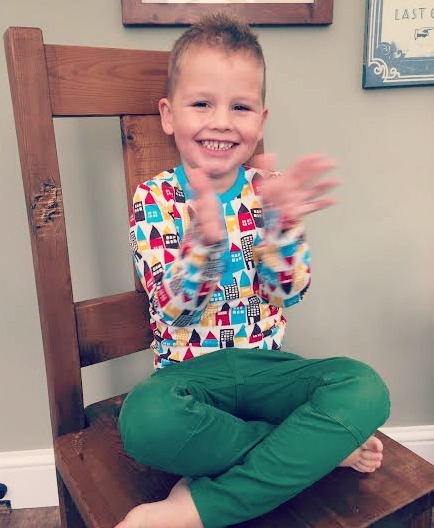 You can find out more about joining them here or to simply shop for adorable clothes for your funky little monkeys check out the rest of their range. Disclosure: We received these clothes in exchange for an honest review. Words and opinions are all my own.